The huge space at the entrance a beautiful garden is truly an affordable luxury. 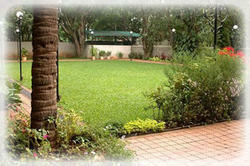 One of the focal points of our garden is the lawn, a beautiful lawn is the centrepiece of any garden. 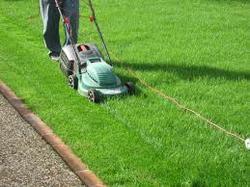 With the help of knowledgeable team, we are involved in offering Organic Gardening Service These services are handled by professional’s team, who has affluent experience of this area. Furthermore, our customers can avail this service from us at nominal rates within given span of time. A landmark project located at Rajyopadhye Nagar, Vrindavan Residency is a residential property plan that offers luxurious bungalows for sale. With close vicinity towards picturesque Rankala Lake, the project has offered some of best dwelling units at competitive property rates.